We have received many requests for longer hour course from working mothers. 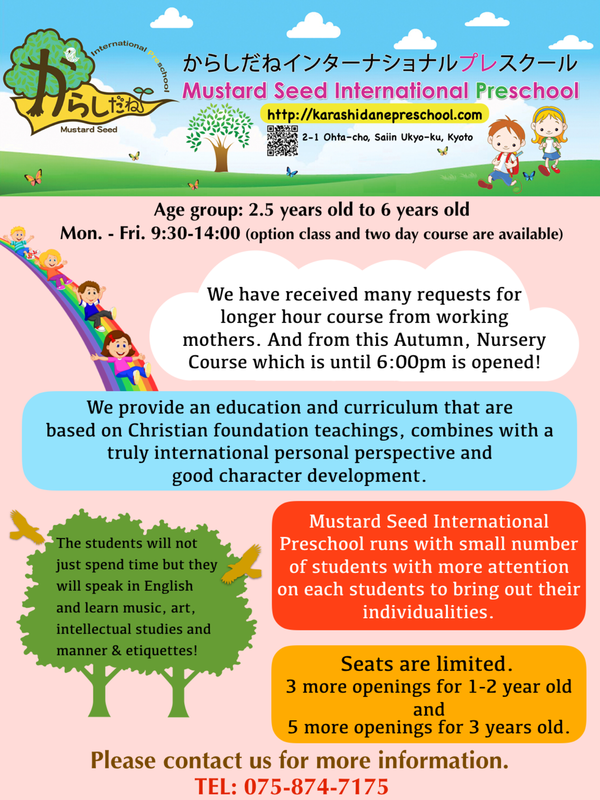 And from this Autumn, Nursery Course which is until 6:00pm is opened! The students will not just spend time but they wil speak in English and learn music, art, intellectual studies and manner & etiquettes! 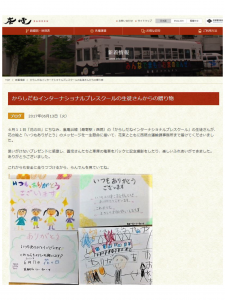 Some may proceed to public schools in Japan after graduating the preschool; thus, for the preparation, they can study math and Japanese also! Mustard Seed International Preschool runs with small number of students with more attention on each students to bring out their individualities. 5 more openings for 3 years old. 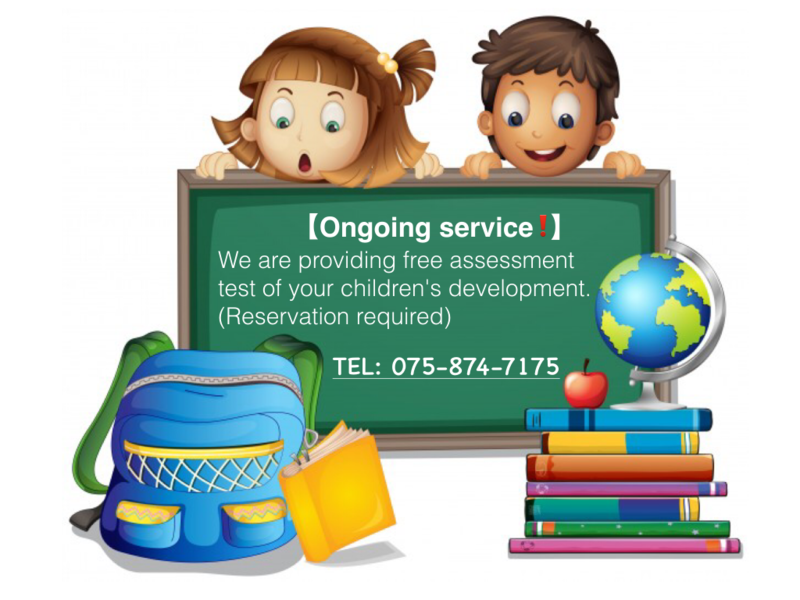 Please contact us at 075-874-7175. *** Two Days course available from 10:00-14:00 (Tuesday and Thursday). Please contact us for more details.